Need flowers for your Nawabi valentine? 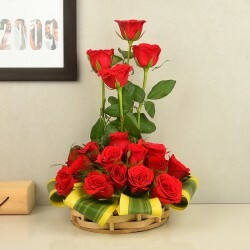 Go for our fresh Valentine flowers and get them delivered to their home or office with our widespread delivery services. 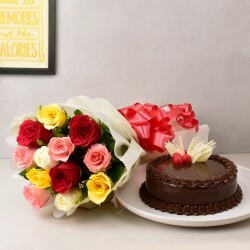 Create a moment of delight as you send them a spectacular bouquet from MyFlowerTree. When Words Aren't Enough, Say It With Our Valentine Flowers! Who doesn't love flowers? Yes, everybody indeed! And when you receive it on the occasion of Valentine's Day, it becomes even more endearing. 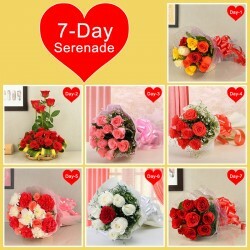 Send Valentine flowers online to Lucknow your lady love in bright colors of Red and Pink. 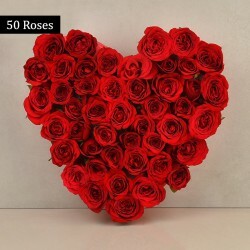 Whether it is our Heart-shaped flower bouquets, Alphabet arrangements, Roses in a box, A Big Hug Of Roses, 12 Red Roses, Heart Of Valentine, Box Full Of Roses, Love Is In The Air, Pink Craze, Queen Of Roses, Power of 50, Red Wonder, Room of Roses, 60 Rose Bites, Big Red Heart, Roses Heaven, Flowers in a vase, 100 Pink Roses, Rainbow of Roses, Roses n Ferrero Rocher or 1000 Roses, we have a gamut of flower gifting options for Valentine's Day to send to your beloved in Lucknow. Although men don't complain out loud, they too deserve a thoughtful gift from someone special. 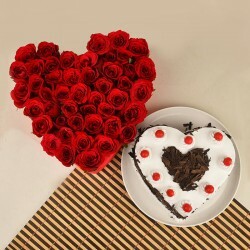 Choose from our extensive range of Valentine gifts for him and let him know how much you love him. Sometimes words aren't enough to express your true emotions and feelings. That's when flowers come into picture! 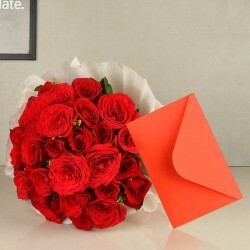 Say it out loud with Valentine flowers online to Lucknow. We have an extensive variety of freshly picked flowers consisting of Lilies, Orchids, Tulips, Carnations, Gerberas, and more. 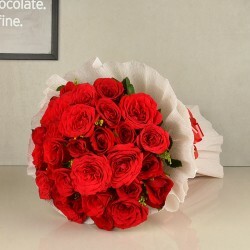 Get Valentine flowers delivered to the destination of your precious ones in Lucknow and let them know how much you love them. 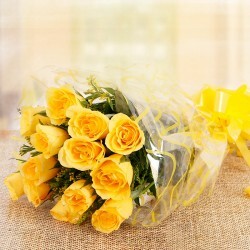 Get Valentine flowers to Kanpur city in no time with our expert delivery services. 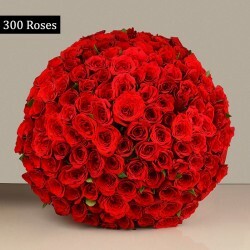 Whether it is Adil Nagar, Ahiran Khera, Alamnagar, Aliganj, Alinagar Sonhara or any other place in Lucknow, our online florists will deliver your flowers fresh to your loved one's destination.